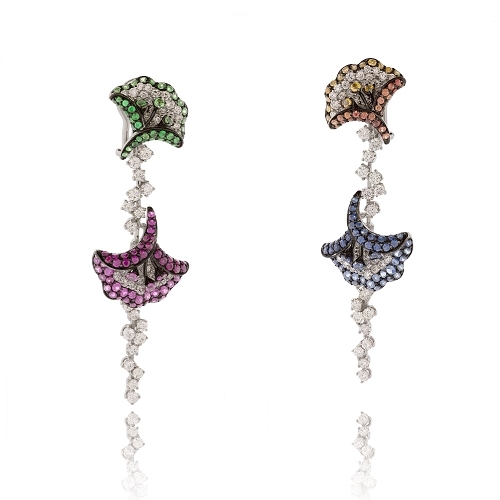 Long dangle earrings set with brilliant colored sapphires, diamonds & tsavorite mounted in 18k white and black gold. Diamonds approx. 4.33ct. Earrings 2.6"